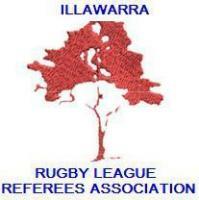 Illawarra Division Rugby League Referees Association Inc. 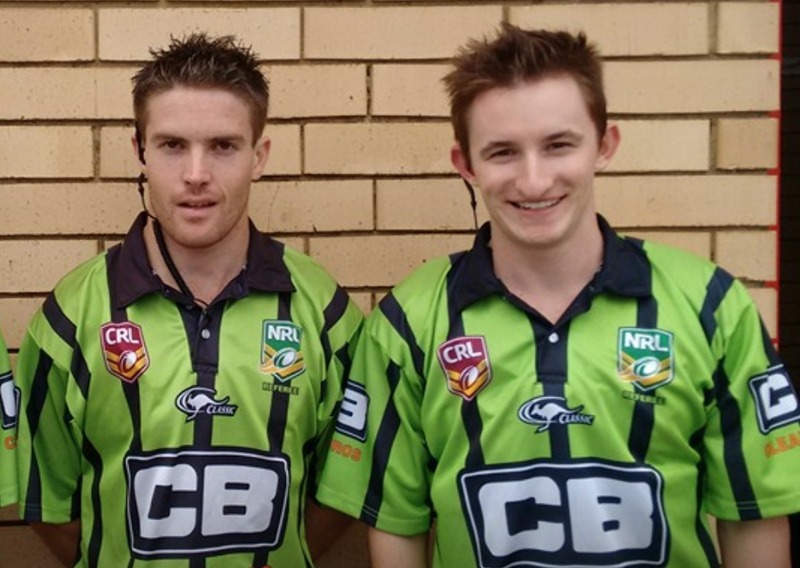 Pathways for young Referees in Regional NSW will be strengthened in 2018, with the announcement of a Country Rugby League Junior Representative Referees squad. 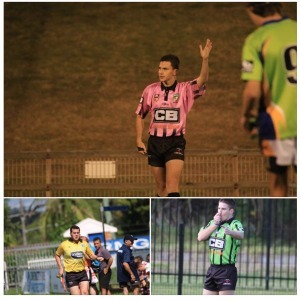 The exciting announcement brings the pathway in line with the National Structure of Officiating and mirrors the structure of both the New South Wales Rugby League and Queensland Rugby League Junior Representative programs. As per the National Structure of Officiating pathway, the CRL Junior Representative Referee‘s Squad will consist of Officials from the 2017 High Performance Squad, with a total of 20 referees selected to take part in the program. Selected officials for the CRL Junior Representative Squad will commence training over the summer and will then be appointed to officiate throughout the 2018 CRL Country Championships. 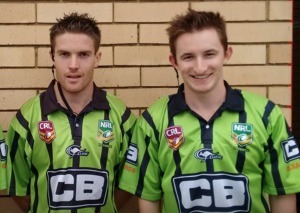 NRL National Pathways Coach Shayne Hayne, who has been instrumental in the formation of the program, believes the new structure provides a great opportunity for young regional referees. “With these new pathways and structures in place, it allows CRL referees to stay at home and not have to leave their area and still have the opportunity to receive additional education to assist them in becoming Elite match Officials,” said Hayne. “There is now a clear pathway for CRL referees to become an elite match Official and I am confident this will translate into quality on-field performances. 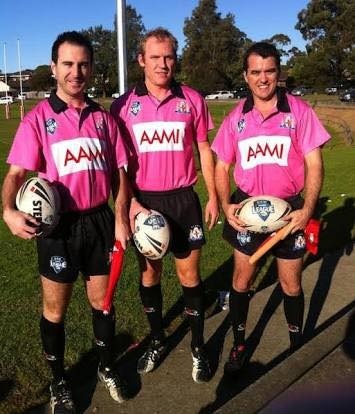 Ryan Jackson will be refereeing the Ron Massey Cup Grand Final and Liam Nicholls will be touch judging in the NSW Cup Grand Final. Illawarra referees showing us how it is done! At our Annual Presentation Dinner Andrew Riolo was awarded a framed jersey in acknowledgement of his 400th 1st Grade Games in the Illawarra. Well done Rollz! Congratulations to Illawarra Association's Ryan Jackson on his big night at the Brad Fittler Medal Awards Night on Monday where he was named the NSWRL Grade Referee of the Year. It caps a great year for Ryan who follows on from another Illawarra product in Liam Nicholls who won the same award over the past two years. 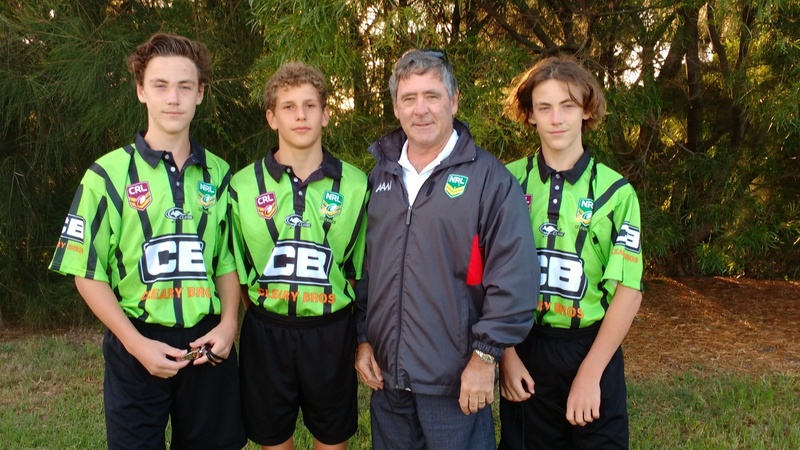 It's interesting to note that Ryan's first Grand Final in Illawarra was back in 2001 when he controlled the local Under 16-2 decider and his touch judges were Liam Nicholls and current fellow NSWRLRA Graded Member, Darren Van de Moosdyk. Ryan is also in the running to take another of Liam's batons when he runs out this weekend to control one of the Finals of the Intrust Super Premiership at Leichhardt Oval which is one game away from the Grand Final. Good luck, Ryan from all in the Country Refs. 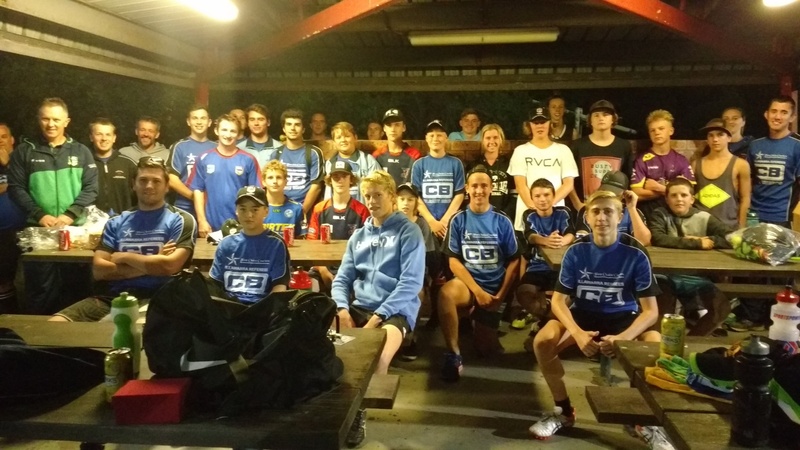 A great roll up tonight for training tonight under special guest coach, Steve Clark from the NRL. Fantastic to see so many of the newer members mixing it with the senior ones. Steve provided some extremely useful drills on 5 and 10 metres, reaction time and goal line positioning mixed in with some fitness work. Many thanks to Steve for coming down to run our session and he has said that it won't be the last time. Well done to all who attended and thanks to the Association for the post training BBQ. 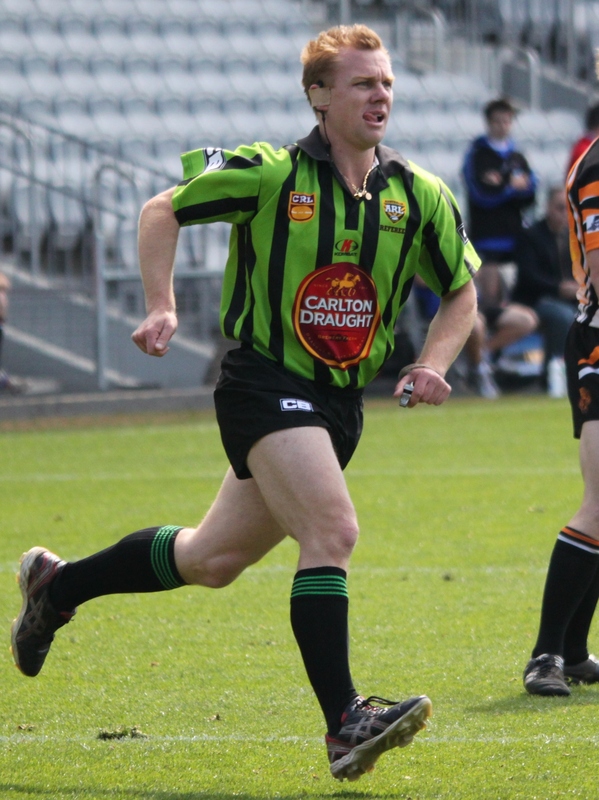 The Illawarra Rugby League Board of Management has appointed a new Referees Co-Ordinator in former Illawarra Grand Final and NRL Referee, Tony Delasheras who is also a Life Member of our Association. 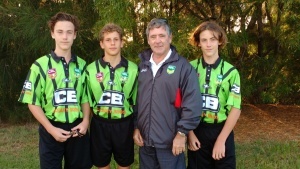 Tony will continue the great work of his predecessor, Scott Murphy, in identifying and developing new talent to reach the top in the Illawarra ranks. Another new appointment has been made by the Illawarra Executive when they named Association VP Michael Chin as the Illawarra Referees Development Officer under the new CRLRA structure where each Association will have its own Development Officer funded by the CRLRA in place of having its part-time Regional Development Officers. 2016 sees some new faces among the refereeing ranks with most of them being newly accredited whistle-blowers thanks to the efforts of our Provider in Frank Leonard. Last Sunday week we had the face-to-face course at Berkeley conducted by Frank with the support of Mitch James, Scott Murphy and Steve Brown where we put seventeen new referees through the course. They are William Cambourn, Dylan Boyd (yes, another one, brother of Bryce and Brayden), Cooper Winklebauer, Callum Blight, Clay Brett, Jackson Valk, Cooper Corcoran, Wil Heffernan, Jayden Tye, Ethan & Noah Galway (grandsons of Steve Brown), Brock Sepulveda, Jhet Steyger, Callum Reh, Emily-Jo Smith (who will referee in Gp 7), Michael Innes and Billy Parremore (who has returned to us after a break). Already Callum Blight, William Cambourn, Ethan & Noah Galway, Wil Heffernan, Michael Innes, Billy Parremore, Brock Sepulveda, Jhet Steyger, Jayden Tye and Jackson Valk have joined our Association with some of them already having controlled their first games on the weekend. As well s these newly accredited referees we also have a new member who joins us from Group 7 in the form of Paul Lees who we will welcome into our senior ranks. 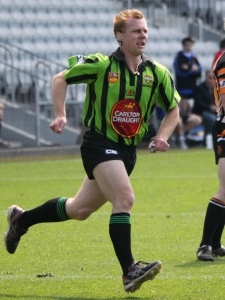 Paul has considerable experience in refereeing seniors and will be a great asset to us in our own senior competition. We did a trade with Group 7 as long term Illawarra member, Larry Kent has left us this year for our southern cousins. So if you see any of these new members around then please make them welcome into our Association just as you were welcomed when you first started. Give them the help and assistance that you would expect to receive if you arrived in a new place for the first time. 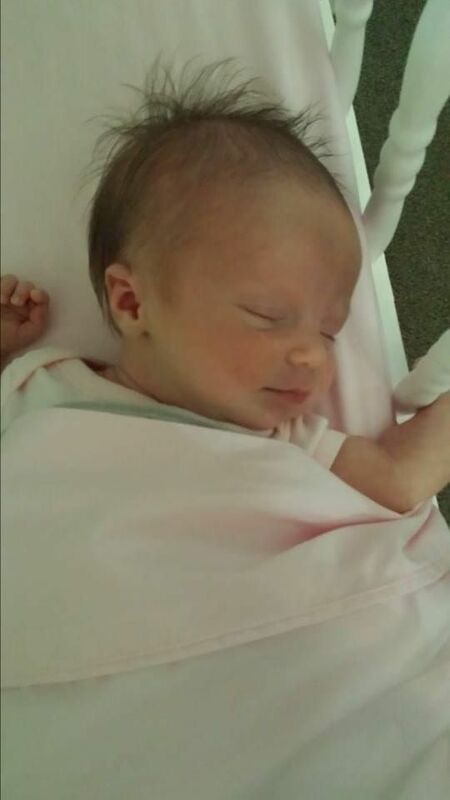 Congratulations to Darren Van de Moosdyk and Nicola on the safe arrival of their beautiful little girl at the start of the month. DVD has had a grin from ear-to-ear ever since and it’s much bigger than the one that he normally carries. It’s about time that we had a new addition to our kids Xmas Tree list as last year’s Santa gifts were few and far between due to a lack of nominations. So welcome Mini-DVD. Congratulations Andrew on such a significant achievement. 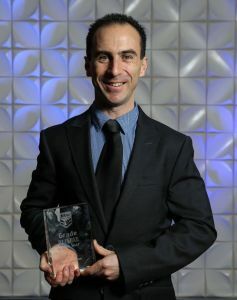 Illawarra Referees' Association Life Member Professor the Hon. 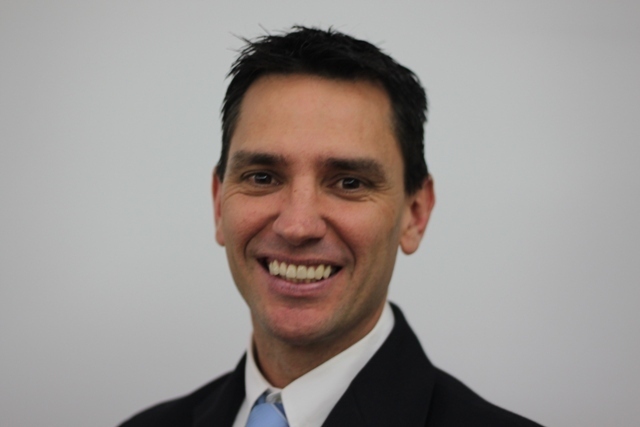 Stephen Martin has been appointed to the Men of League Foundation's National Board. 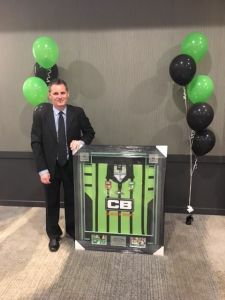 Steve was an active member of the Illawarra Referees back in the 1980's when he served as the Association Treasurer for two years followed by Secretary for another two years. He controlled the Division's 1984 First Grade Grand Final then took his whistle to Federal Parliament where was the Parliamentary Speaker. The CRLRA of which Steve was a member back in his active career congratulates him on this most important appointment. You will then receive an email from etrainu with account details & instructions on completing the online modules. A face to face course will be held closer to the start of the season.